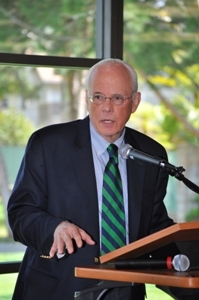 As part of C|M|LAW’s enhanced effort to bring issues of ethics and professionalism into the culture of discussion in the law school community, C|M|LAW hosted Former Nixon White House Counsel John Dean for a full day of events on Thursday, April 19. Mr. Dean began the day by appearing on The Sound of Ideas radio show, with Host Mike McIntyre, at WCPN 90.3 FM. He appeared on the radio show with C|M|LAW Dean Craig Boise to discuss, in part, the teaching of ethics and professionalism in the law schools. Mr. Dean met with C|M|LAW students for 1 1/2 hours later that morning to educate them about his experiences, what he learned about ethics and the legacy that Watergate has left us in the form of enhanced rules of legal ethics. After lunch with a small group of guests and university officials, Mr. Dean held a discussion with the C|M|LAW faculty. He answered questions about his experiences and the impact they had on his own life and the lives of others. In the evening, Mr. Dean presented a continuing legal education program with Mr. Jim Robinault (Thompson Hine) in the C|M|LAW Moot Court Room to a crowd of 250-300 people. 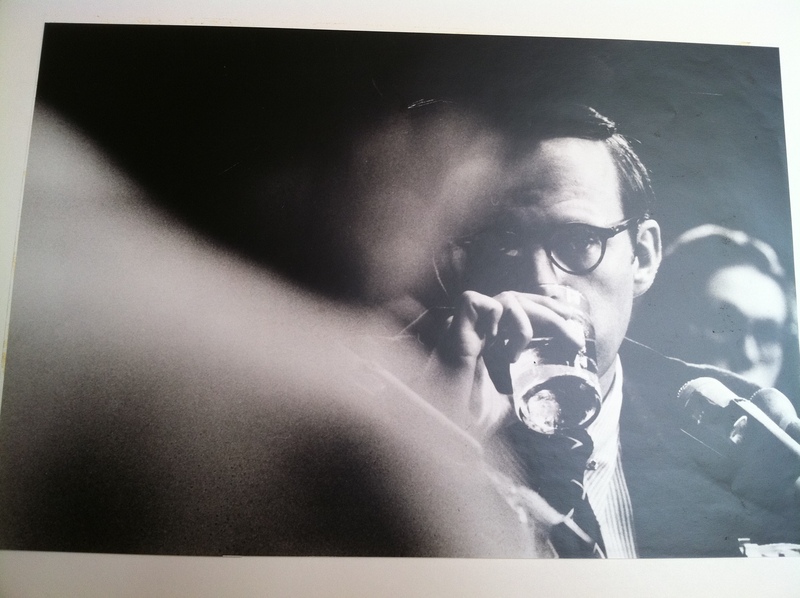 At that program, Mr. Dean focused on the events of the first week following the break-in, discussed his testimony before the Senate, and showed video clips of that testimony and other commentary. This entry was posted in Events, Faculty in the Media, Faculty News. Bookmark the permalink. Mr. Dean is an historic figure in American history who is also a captivating speaker and writer. I heard him speak a few years ago at an ACLU event in Massachusetts and had a chance to speak with him at a book signing event that evening. How many people will have the courage to speak truth to power to address today’s problems?